You may want to receive e-mail from ulyssis on another email provider. It is very easy to set this up. 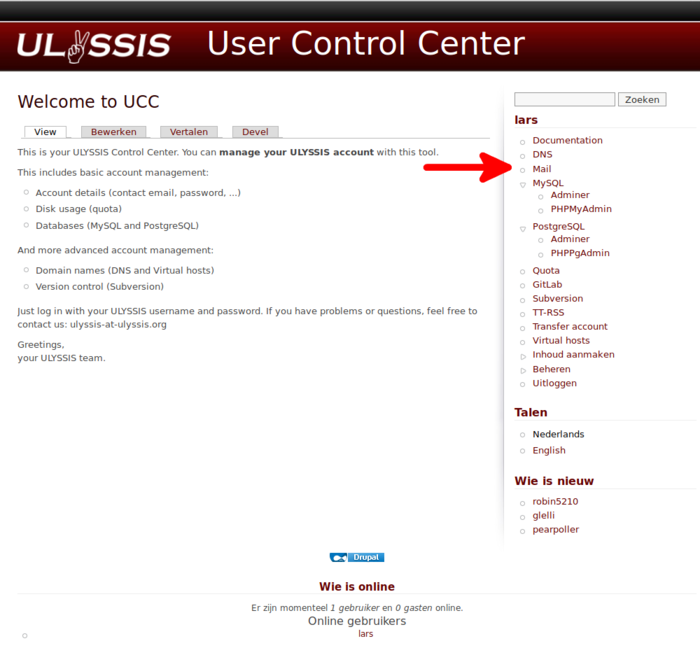 Go to ucc.ulyssis.org and log in with your username and password. On the right side, click on Mail. Under Address forward you can change the forward address of your ULYSSIS mail by clicking on edit. Choose forward and enter the email address you want to forward your ULYSSIS mail to and save the changes. If you forward to Gmail, Hotmail. or use Thunderbird, we recommend looking at Using a forwarder as an alias so you can send mails under the forwarding address instead of just your own. Under Virtual Domains, click on the domain you want to change. You can change a forwarder by clicking on edit or on Add alias and add the forwarders you want. An alternative way to set the forwarders, that will also allow you to use your mailbox and the webinterface, is to use a .forward file. On each line of this file, you can specify to wich addresses you want to forward the email. If one of the addresses is the same as your @ulyssis address, then the mail will also be placed in your ULYSSIS mailbox. 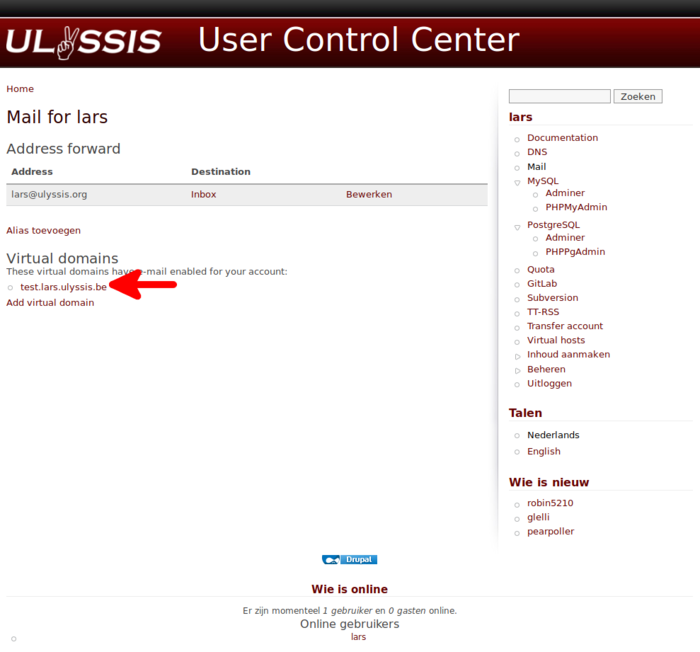 In the following example, your @ulyssis email address is user@ulyssis.org. This will place the email in your ULYSSIS mailbox so that you can access it from the webinterface or your local mailclient. It will also forward the mail to example@gmail.com and example2@skynet.be.